In a stand mixer fitted with a beater attachment, mix together whipped topping, marshmallow fluff, and softened cream cheese until light and whippy. 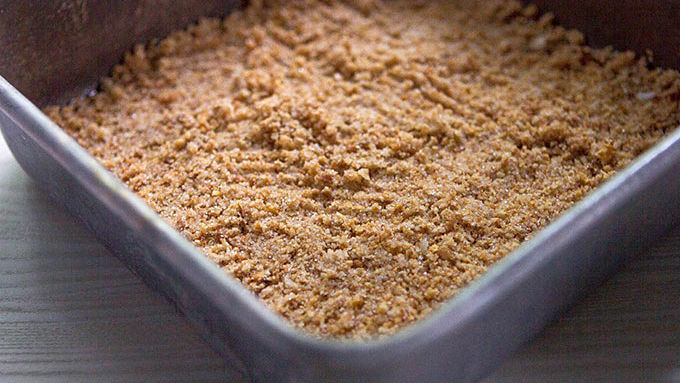 Spoon half of this mixture on top of the crumb crust in the baking dish. Spread hot fudge sauce on top of this layer, then layer with remaining marshmallow fluff and top with remaining crumb crust. This easy freezer treat is everything s'mores rolled into summer's perfect delight. For summer desserts there are a few faves that everyone loves. Take, for instance, our frozen crunch cakes. It’s basically Delicious poured into a pan and sliced into personal-size pieces. Crunchy granola with a creamy filling? Yes, please! So, we decided to riff off that baby – because Delicious is delightful! 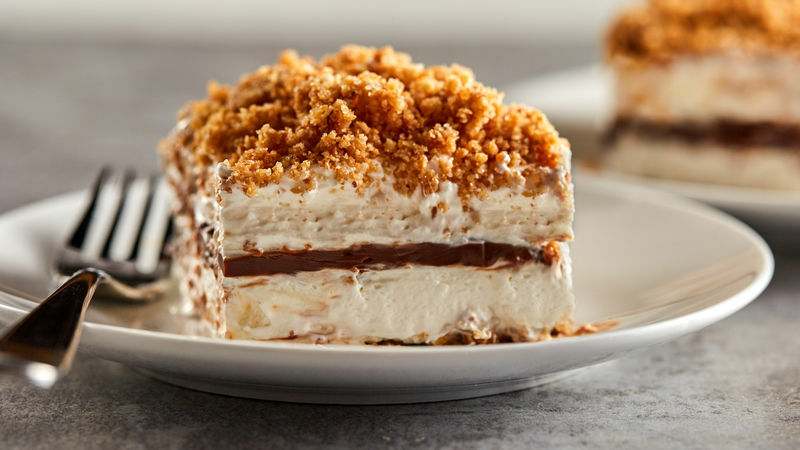 But when you take S’crumptious and multiply it by S’mores and freeze it in a cake pan... Well, then you’ve got this Frozen S’mores Crunch Cake. And OMG. It is SO scrumptious! I used a thick and creamy hot fudge sauce. 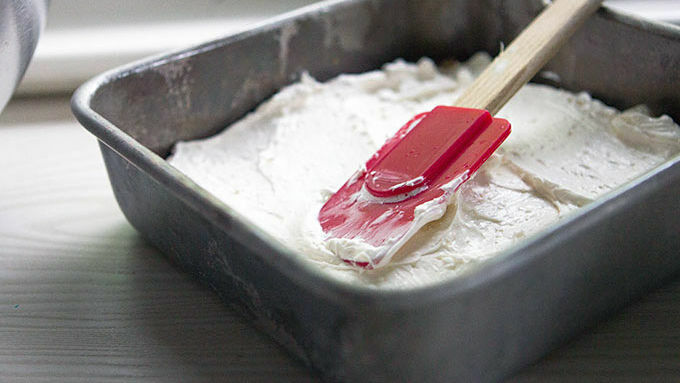 You can do the same, just make sure you pour it in the center of your cake. Use even more if you want a nice thick center layer. Or use Nutella™. But that’s only if you want to blow your life up with glitter balloons and hazelnutty happiness. You decide. 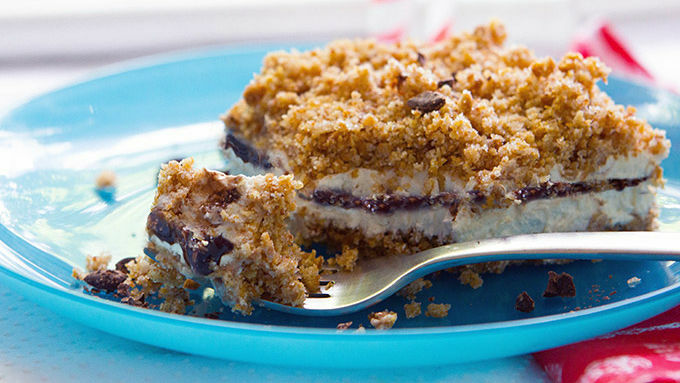 Slices of this stuff are s’more delicious that you may ever have thought possible. You're welcome!